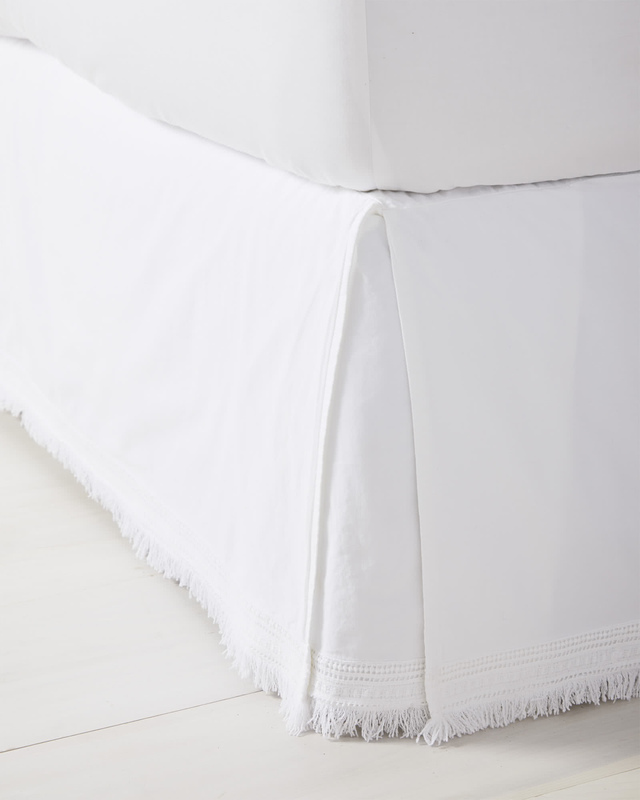 Solana BedskirtSolana Bedskirt, alt="Solana Bedskirt, "
Print Who doesn’t love an all-white bed? It’s classic, chic, and looks great with whatever you pair it with. To give our design a distinctive look, we added a beautiful lace trim, made exclusively for us in Portugal. 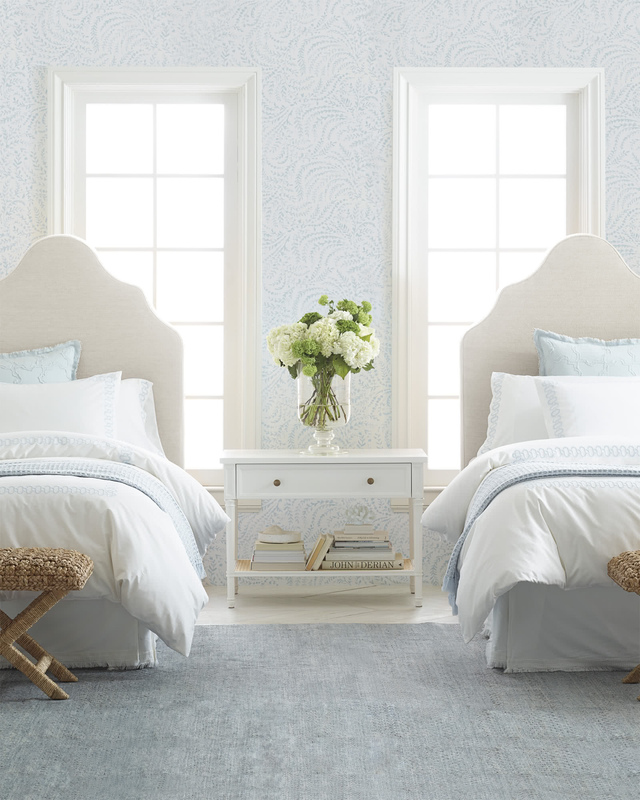 A short fringe adds a playful touch and the lightweight washed percale base adds a dreamy airiness.